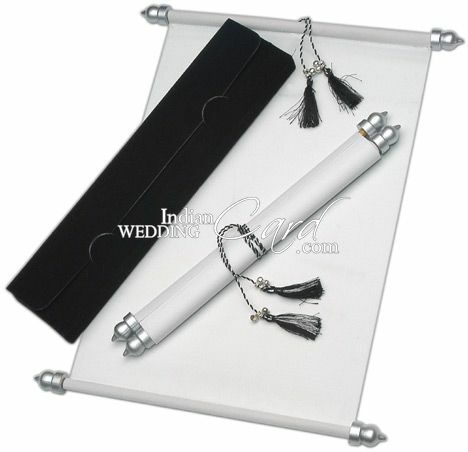 S102, Black Color, Scroll Invitations, Jewish Invitations, Anniversary Invitations, Box Scrolls, Fabric Scrolls. 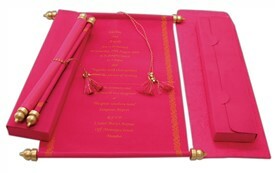 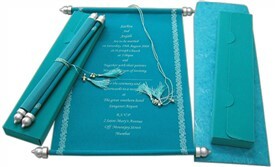 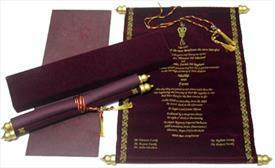 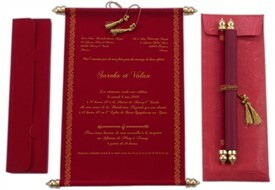 The Two non-colors come together to give your celebration a stylish color of class. 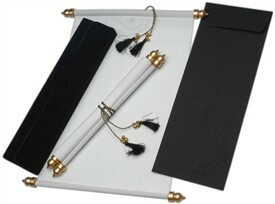 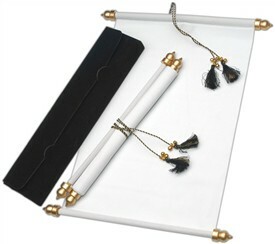 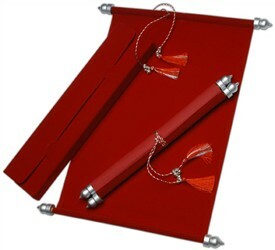 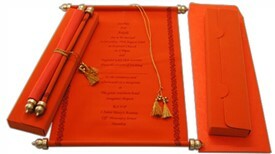 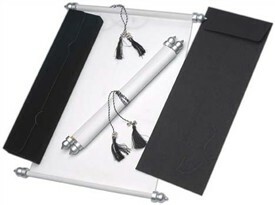 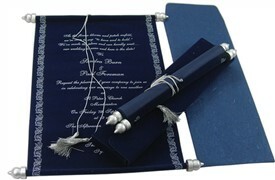 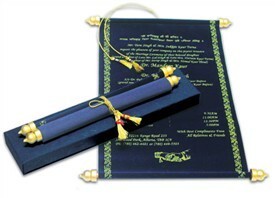 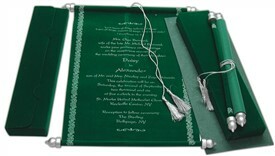 The plain scroll is with silver bars and silver colored zari tassel having black colored silken threads. 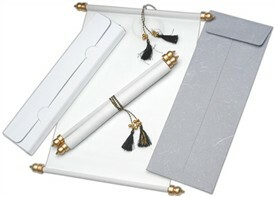 The box envelope is plain. 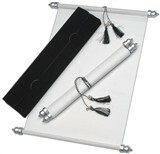 Silk Screen Printing in Silver.